The Canal du Midi from Sete to Toulouse, has been listed a UNESCO World Heritage site since 1996. This highest point (the threshold of Naurouze) is exceptional especially for its impressive water supply system, conceived by Pierre-Paul Riquet in the 17th century. Riquet, the richest man in the Languedoc, was a salt tax collector and not an architect or engineer, proof of his technical prowess. 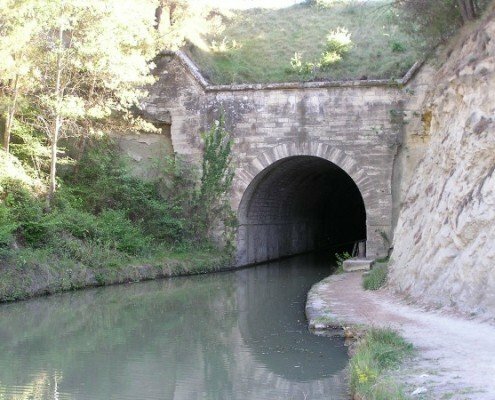 The Canal du Midi is 240 km long and comprises 63 locks, 7 canal bridges and one tunnel. We should alo mention the 80 kms of water supply streams from the Black Mountains as well as the impressive St-Ferreol dam. 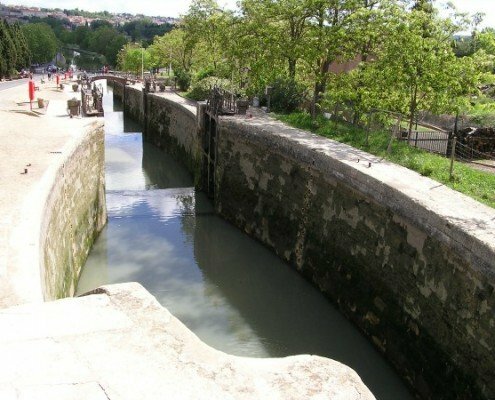 The canal’s construction, commenced in 1667 and took 14 years to complet as the projetc was pharaonic and encountered technical and financial difficulties. Click on the black stars to points of interests (castles, villages, ….). If you notice an omission, don’t hesitate to let us know. In the relevant sections of our site, find accomodation, useful addresses and events near the canals.